Located in the Troodos mountain range, in the Pitsilia region of the Lemesos (Limassol) district, the village of Kyperounta sits at an altitude of approximately 1.300 metres. It is 45 km from Lemesos, and can be reached by following the B8 route (from the roundabout of Polemidia), then the E801, followed by the E809, and finally the F946.The leafy village is the third highest on the island and maintains its traditional character. 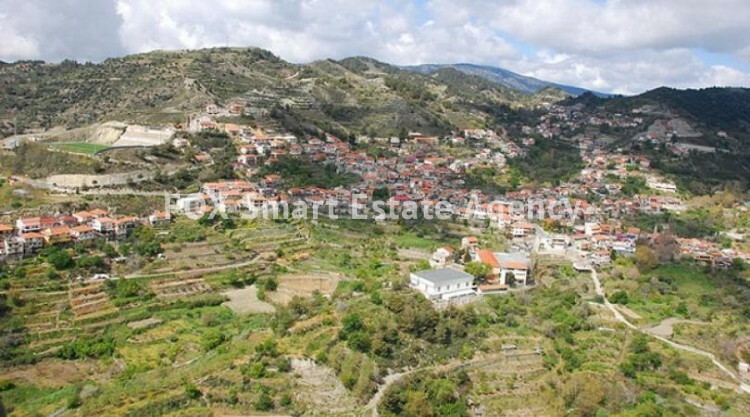 Its distinctive features of uphill roads, grapevines, small yards with high barnyards, and houses with tiled, zinc roofs and picturesque lofts add to its natural charm.The village was established in Byzantine times and takes its name from the weed ‘kypros’ or ‘kyperi’, which grows abundantly in the area. The residential land has a build density of 65% and a coverage of 35% with two floors allowed to be built. Perfect for a summer house.